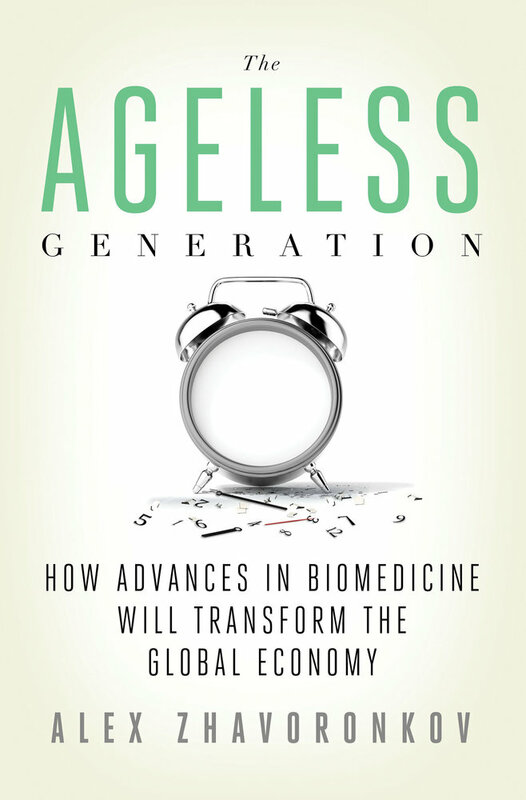 A new book "The Ageless Generation: How Advances in Biomedicine Will Transform the Global Economy" by a director of the Biogerontology Research Foundation and the International Aging Research Portfolio project, Alex Zhavoronkov, PhD will be released next week. Until the 2nd of July it will be on pre-order sale with Amazon providing 33% on hardcover and 59% on Kindle editions. Please consider taking advantage of this opportunity before the prices go up. Over the past 20 years, the biomedical research community has been delivering hundreds of breakthroughs expected to extend human lifespan beyond thresholds imaginable today. Biomedical innovations typically reach the mass market in much slower fashion than those from information technology. They follow a paradigm where neither demand, in the form of the consumer, nor supply, in the form of the innovator, can significantly accelerate the process. Nevertheless, many of the advances made over the past three decades are already propagating into mainstream clinical practice and converging with other technologies extending our life spans. Biomedicine will transform our society forever by allowing people to live longer and to continue working and contributing financially to the economy longer, rather than entering into retirement and draining the economy through pensions and senior healthcare. 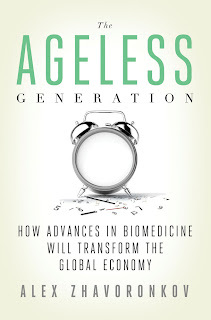 Old age will become a concept of the past, breakthroughs in regenerative medicine will continue, and an unprecedented boom to the global economy, with an influx of older able-bodied workers and consumers, will be a reality. However, biomedical advances are not all the same. The current paradigm in biomedical research, clinical regulation and healthcare created a spur of costly procedures that provide marginal increases late in life extending the "last mile", with the vast percentage of the lifetime healthcare costs being spent in the last few years of patient's life, increasing the burden on the economy and society. In the near-term, unless the governments of the debt-laden developed countries make proactive policy changes, there is a possibility of lengthy economic decline and even collapse. The book presents several scenarios and proposes possible solutions on both government and individual levels. "This book shatters the illusion of retiring at 65, correlating the importance of research into repairing and slowing age-related damage with social security savings that will make even the most hardened policy maker sit up. The author’s passion for his subject gives a unique impetus to the writing. We must act now." "The research of Alex Zhavoronkov paints a picture of frightening reality: that our children might just live to 130. The financial and economic consequences of this cry out for more urgent attention from all sides of society. A huge physchological readjustment in our attitude towards retirement, as we know it, is required for us to start to cope with this new future." "The devastating impact of population aging in the decades to come is becoming like the proverbial weather: everyone is talking about it but no one is doing anything about it. Zhavoronkov starkly sets out the nature and trajectory of this crisis - and then he elaborates what few others have yet described, and no one so expertly: the unique solution to it, namely the development of comprehensive rejuvenation medicine that will restore and maintain the health of the elderly so that they can continue to contribute wealth to society. This book has the potential to define medium-term economic and social policy for the entire industrialized world." "Alex Zhavoronkov claims that we do not have to age the way all other generations did. Or... possibly... at all? Controversial and assertive, he lays out the case for expanding research into what makes all human beings sink into twilight before a century of life. Shall we adjust social policies for an era of spry oldsters, or even semi-immortals? These matters will roil our arguments for the next five decades. The Ageless Generation presents one side with knowledge and verve."